The signing ceremony: In the foreground are Mr. U Mya Than, Acting General Director of the Small-Scale Industries Department, Ministry of Co-operatives (on the right) and Mr. KAMEI Nobuo, Director General, National Research Institute for Cultural Properties, Tokyo (on the left), with Mr. U Aung Phyu, Director General of the Co-operative Department, Ministry of Co-operatives behind them. Since Fiscal 2013, the National Research Institute for Cultural Properties, Tokyo has been implementing a technical survey in regard to traditional lacquer-ware in Myanmar. The National Research Institute for Cultural Properties, Tokyo has drawn up an agreement with the Small-Scale Industries Department of Myanmar’s Ministry of Co-operatives in regard to the protection of Myanmar’s lacquer-ware cultural heritage; the signing ceremony for this agreement was held on September 9, at the offices of Myanmar’s Small-Scale Industries Department. Attending the ceremony to affix their signatures to the agreement were Mr. U Mya Than, Acting Director General of the Small-Scale Industries Department, Ministry of Co-operatives, Mr. U Aung Phyu, Director General of the Co-operative Department, Ministry of Co-operatives, and Mr. KAMEI Nobuo, Director General, National Research Institute for Cultural Properties, Tokyo. Through the signing of this agreement, it has been possible to clarify the goals and content of the collaborative activities in which National Research Institute for Cultural Properties, Tokyo is involved in Myanmar, and it can be anticipated that these collaborative endeavors will proceed smoothly and productively in the future. The Kokka is an art journal that was first published in 1889. With a history of over 125 years, the journal prides itself on publication of 1430 issues. Since La Gazette des beaux-arts, which was first published in Paris in 1859, ceased publication in 2002, The Kokka became the world’s oldest surviving art journal. The journal’s elegant style, replete with images of works in an especially large format (the journal was initially published in royal octavo format but changed to B format after 1944), has remained the same since it was first published. The journal was founded by OKAKURA Tenshin and TAKAHASHI Kenzo, who were passionate about spurring art to develop, and the founders’ enthusiasm is apparent in the journal. 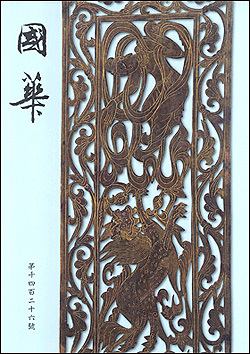 The journal identified development of research into Oriental art history as one of the reasons for its publication, and The Kokka has truly become an important academic journal in the area of the history of East Asian art. The Kokka was edited by the Kokka-sha., and on September 25 the Kokka-sha. donated printed images of artworks featured in issues of the journal. These images were from around Issue 800 to Issue 1200 of The Kokka. Together, the mounted and organized images occupied some 45 cardboard boxes. Artworks featured in The Kokka were carefully selected by researchers of art history, and images of the works are a vital basis for research into the history of East Asian art. These images have been sequentially catalogued and shelved in cabinets in the Institute’s Library. Visitors are free to peruse the images in the Library, so you are invited to take advantage of these valuable materials. On September 12 and 13, 2014, a symposium was held to commemorate the 10th anniversary of the establishment of the Post-1945 Japanese Art Discussion Group/Gendai Bijutsu Kondankai (PoNJA-GenKon). 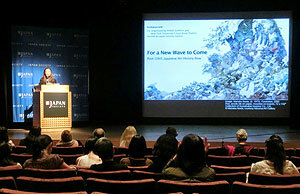 The symposium (co-organized by Department of East Asian Studies at New York University [Associate Professor Thomas Looser] and PoNJA-GenKon) was entitled “For a New Wave to Come: Post-1945 Japanese Art History Now” and was held at the Drawings and Prints Study Center of the Museum of Modern Art, New York, New York University, and the Japan Society. PoNJA-GenKon seeks to provide a forum for experts in the English-speaking world to discuss their interest in contemporary Japanese art. 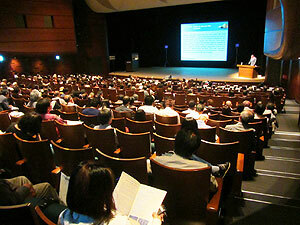 PoNJA-GenKon has previously organized symposia and panel discussions in cooperation with universities, research institutes, and art museums such as the University of Michigan, the Getty Research Institute, and the Guggenheim Museum. On Day 1 of the workshop, the author of this article, Hideki KIKKAWA, delivered a presentation entitled “Seeing A Panorama of Sightseeing Art at Tama: Nakamura Hiroshi’s Notebook at Tobunken.” Panorama is a drawing of the exhibition “Sightseeing Art at Tama River Exhibition” in March 1964 by “Sightseeing Art Research Institute,”, and this drawing is now in the collection of the National Research Institute for Cultural Properties, Tokyo. 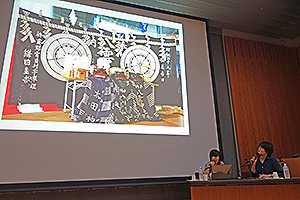 KIKKAWA’s presentation used the drawing and video to describe the exhibition in detail, and the presentation also examined its significance to the art scene at the time. The symposium featured 16 research presentations by specialists and academics. A panel discussion took place each session and featured active discussions. The symposium was accompanied by tours of libraries with art-related collections and archives (such as C.V. Starr East Asian Library at Columbia University,Watson Library at Metropolitan Museum of Art,Archive at MoMA, and the Art & Architecture Collection at New York Public Library). 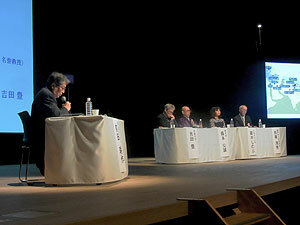 The author of this article discussed research materials on Japanese art with representatives of those institutions. 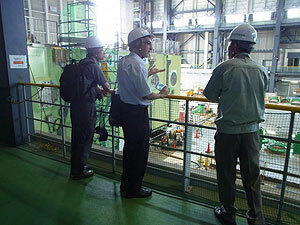 The author’s participation in the symposium and tours of facilities were made possible thanks to the Japan Foundation. The Department of Intangible Cultural Heritage and South Korea’s National Intangible Heritage Center have been conducting Research Exchanges between Japan and South Korea in relation to the Safeguarding and Preservation of Intangible Cultural Heritage. 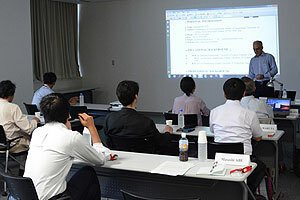 As a result, Myung Jin LEE of the Research and Documentation Section visited Japan for 30 days starting on August 11. LEE conducted a joint study on the Sugisawa Hiyama Bangaku (the Town of Yuza, Yamagata Prefecture) and Hayachine–Take Kagura and Koda Kagura (the City of Hanamaki, Iwate Prefecture). LEE reported the results of this study during a presentation, entitled Kagura Traditions in the Tohoku Region that took place in the Institute’s seminar hall on September 8. Basically, Kagura is sacred and ritual performing arts to invite gods. Kagura performed in the Tohoku Region often includes dramas or acrobatic feats. Bangaku is also one of the local names for Kagura. LEE’s presentation began with a basic description of the characteristics of mountain asceticism in the Tohoku region and the relationship between Kagura and mountain asceticism. LEE then compared the 3 Kagura traditions. LEE discussed topics related to preserving intangible cultural heritage, such as specific examples in which traditions were maintained and passed down as well as involvement of preservation societies and government bodies, in detail. LEE also described conditions in South Korea for comparison. In addition, LEE discussed characteristics of Kagura traditions in the Tohoku region as folk performing arts, and LEE suggested that the traditions may be comparable to “gut” (shamanistic rituals) and the “Mask Dance” in South Korea. The presentation was quite meaningful in that it described the current state of and issues with preservation of intangible cultural heritage from the perspectives of preserving cultural practices and folklore studies. As part of the “New Century International Educational Exchange Project” of the Ministry of Education, Culture, Sports, Science, and Technology, an Associate Professor from the University of Isfahan in the Islamic Republic of Iran was invited to visit Japan from August 26 to September 5. The professor, Mehrdad HEJAZI, has been closely involved in conservation of a site in Bam; Bam suffered massive damage from an earthquake that struck in 2003. Japanese researchers on Iran in various fields such as archaeology and linguistics assembled in conjunction with HEJAZI’s visit, and a seminar on historical buildings in Iran was conducted. During the seminar, HEJAZI delivered a presentation on issues involved in and prospects for conservation of culturally significant buildings in Iran. HEJAZI discussed numerous aspects of Iranian cultural properties with the assembled researchers. Japan is often plagued by natural disasters such as earthquakes and tsunamis. Similarly, earthquakes have caused severe damage to culturally significant buildings in Iran, where such buildings are constructed of brittle, sun-dried bricks. 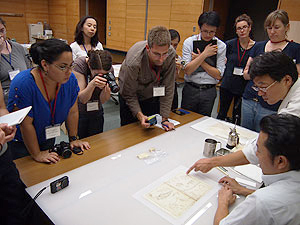 During his visit, HEJAZI gained further insight into concepts and projects to conserve historical buildings in Japan. HEJAZI toured the Hyogo Earthquake Engineering Research Center, the world’s largest earthquake resistance testing facility, and he also toured the Kyu-Yubikan, a historic building in the City of Osaki, and culturally significant buildings in the inner bay area of the City of Kesennuma; both locations in Miyagi Prefecture were damaged by the Great East Japan Earthquake. 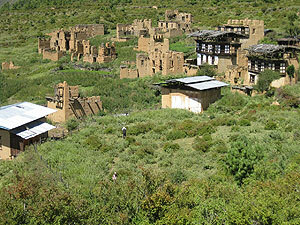 These events allowed a profound discussion of techniques for conservation of culturally significant buildings and disaster prevention measures for those buildings. The invitational program proved fruitful, laying the groundwork for further cultural exchanges between Iran and Japan. 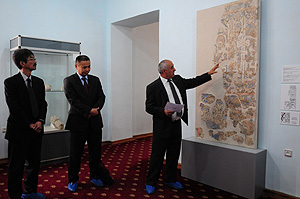 From September 11 to October 2, wall painting fragments that were unearthed at the Hulbuk site were conserved and exhibited at the National Museum of Antiquities of Tajikistan. These wall paintings were presumably produced in around the 10th to 11th century and few similar paintings exist. Thus, these paintings are scholarly materials with considerable value in terms of the art history of Tajikistan and other countries in Central Asia. Since 2010, the Institute has been extensively restoring these wall painting fragments with the cooperation of the Institute of History, Archeology, and Ethnography of the Academy of Sciences of Tajikistan. As of last year, work was done to piece the fragments back together and then reinforce and stabilize them. This year, the fragments were mounted to facilitate their safe exhibition. 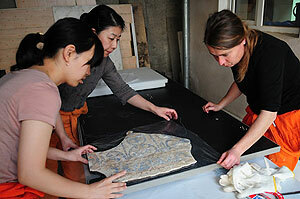 First, a backing was created and then attached to the back of the wall painting fragments. Fragments were then arranged on a mounting board 91 cm wide × 182 cm tall based on line drawings done when the fragments were excavated. Seventeen wall painting fragments were re-assembled to depict a single image. Decorative mortar matching the texture of the wall painting fragments was added around those fragments. Nuts and bolts were used to fix the fragments in place. This construction allows the fragments to be safely removed from the mounting in the future so that they can be transported to other museums for exhibitions. After the exhibition, a ceremony was held to showcase the conserved paintings. The ceremony was attended by personnel from the Institute as well as Saidmurod BOBOMULLOEV, Director of the National Museum of Antiquities, Rahim MASOV, Director of the Institute of History, Archeology, and Ethnography of the Academy of Sciences, and KAMADA Takashi, Japanese Ambassador to Tajikistan. Plans are to continue exhibiting the wall painting fragments in a hall at the National Museum of Antiquities, where other items unearthed from the Hulbuk site have been assembled. This conservation project was undertaken in part with a Sumitomo Foundation grant for Projects to Preserve and Conserve Foreign Cultural Properties.